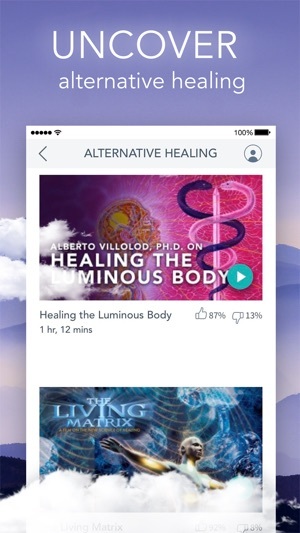 Stream videos on yoga, meditation, spirituality, and more with Gaia. Use our videos to discover new exciting perspectives today. 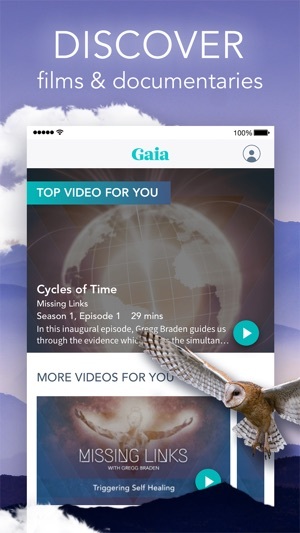 Enjoy and learn with our library of over 8,000 videos and original programs that are exclusive to Gaia. Whether you want to enjoy a mindful yoga practice, deep meditation or you’re seeking truth through metaphysics, fuel the pursuit of your highest potential with Gaia. • Compelling videos - Discover yoga, meditation, mindfulness, ancient history, and more! 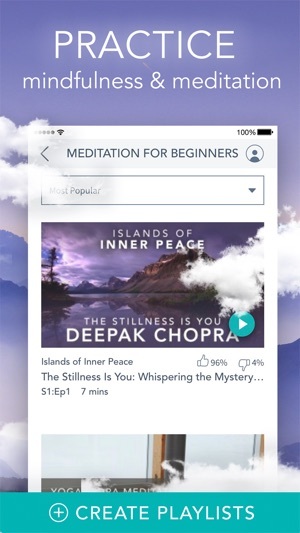 Explore videos according to your taste and let your journey toward enlightenment begin. • Far from mainstream viewing - Enjoy exclusive content and videos that push the boundaries of tradition and encourage new ways of thinking. • Learn from the best - You have access to the world’s best teachers and spiritual luminaries to guide you on your path with yoga, meditation, spiritual growth, and alternative perspectives. 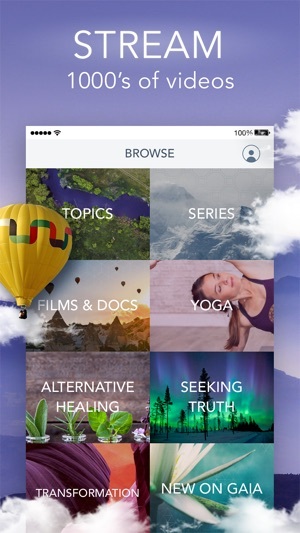 Deepen your mind, body and spiritual connection with the world’s largest conscious media network. Use an existing login or purchase an auto-renewing subscription with your iTunes account to get access to Gaia (7-day free trial, $11.99/month, or $99.99/year). A single account grants you access to Gaia on supported devices, TVs, and the Web. It is impossible to know everything, but there is also no limit to the information and spiritual guidance on Gaia. Particularly in the many days to come, I have no doubt Gaia will be an invaluable platform for many others, as it already is to many of us who are awakening. Wether you seek disclosure of the truth, spiritual and life guidance, or general inspiration or information, you will find it all here. I am a music artist/filmmaker/actor, and I, for one, have found much more inspiration now, as well as answers to questions I’ve had my whole life. That’s not an exaggeration. I am now with intent and love, more than I ever knew, and will be one of the leaders of love and healing, and continue to steer others to this great website and app. There’s currently no other source with as many videos of as many different subjects, and of as much quality. I can’t imagine how much longer it would have taken me to piece together the amazing unified creator within-without it. My absolute go-to. I have been subscribed for three years, as when I was reading up on yoga, I had no clue how impacting that decision truly was on my life. Finding Gaia has been my tool that I use on a daily. It has allowed yoga and meditation to balance and better my life, calm anxiety, center myself so well to be able to envision my goals and reach them, see the greatness in the ones around me, leaving me feeling so grateful and full of love and light, every single time on my mat. Clara Roberts-Oss was the first instructor that I felt a connection to, her energy is so powerful, she can impact your life through a screen, portraying such a unique message, and mentor you through your day. For me personally, she is the perfect match for me because she flows so fluently, expand your ability, and does not forget how important it is to connect to yourself. 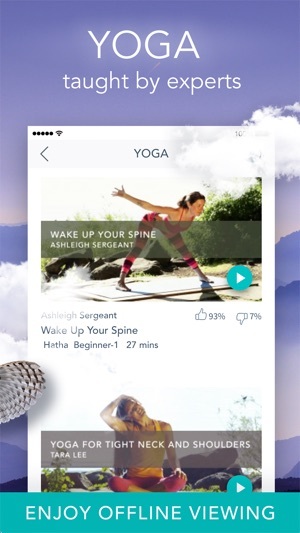 The best decision I have ever made was in countering yoga and this app into my life. I'm so glad Gaia finally came out with a mobile app, years later than they should have, but for some reason they never take the time and effort to do it right. This version is much better than the previous one, but I still have problems with basic things like rewinding 10 seconds. Either pressing the 10 second button doesn't work, or you can only press it 1 time and it stops responding, or the whole player freezes or crashes, and you have to exit or restart the whole player again to continue watching the video. Heck, sometimes the player freezes even when you press nothing. It's super frustrating. I wish Gaia realized that mobile devices are how many if not most people access content nowadays, so they should take the time to do it right. This stuff isn't reinventing the wheel. There's no excuse for their app being so dreadful for years already. Get some decent app developers already!